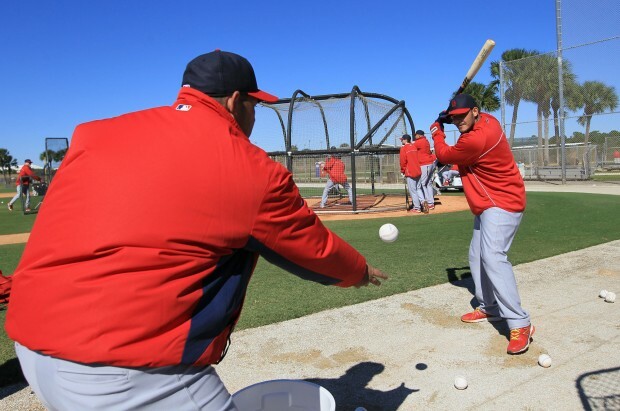 Ah, spring training … The joy of reading about our St. Louis Cardinals daily and, with that, the extra joy of seeing pictures from Jupiter, Fla.
What better way to start your Monday morning, whether you’re off for President’s Day or headed to work, than with a look at what’s been happening in Jupiter over the past week? Other than stopping at Starbucks before reading on, there’s no better way — right? 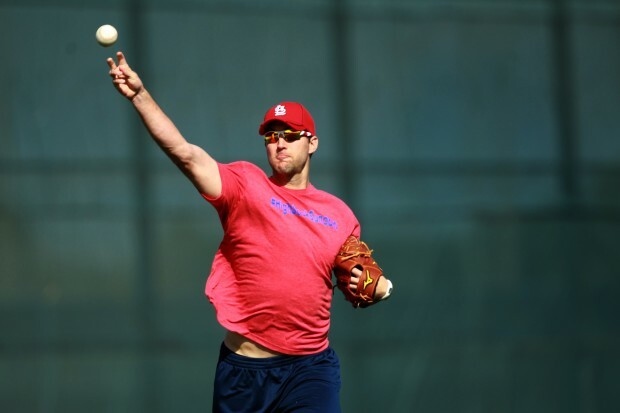 All photos are from the St. Louis Post-Dispatch. 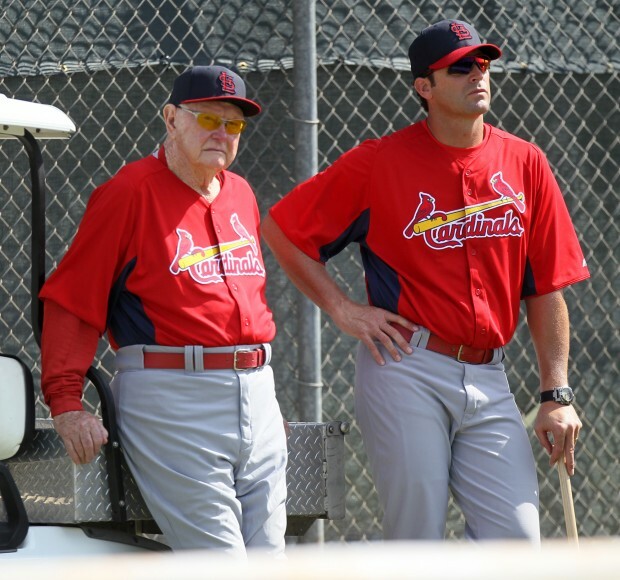 Mike Matheny in shorts? 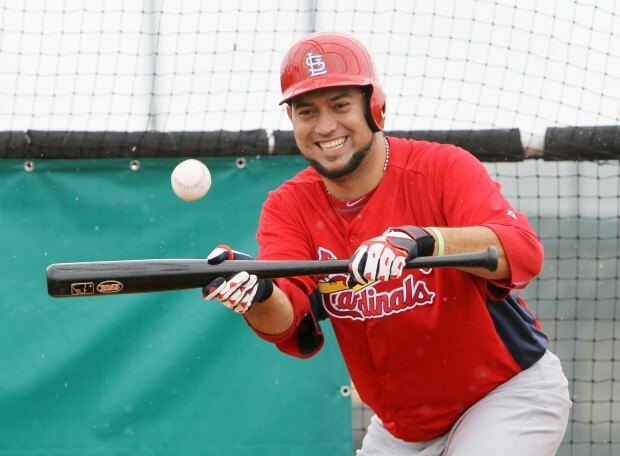 Yes, it’s a happy Monday. 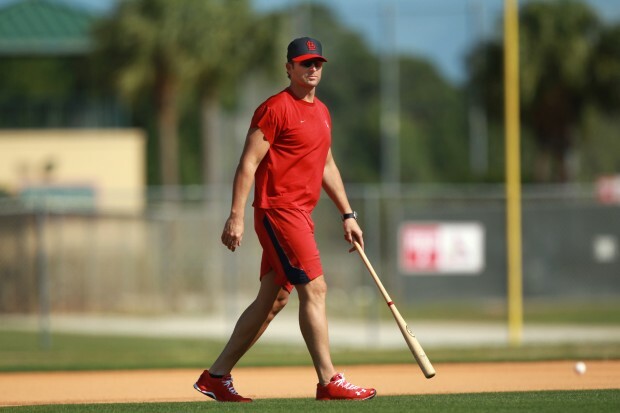 Matt Carpenter in shorts works well also, right? 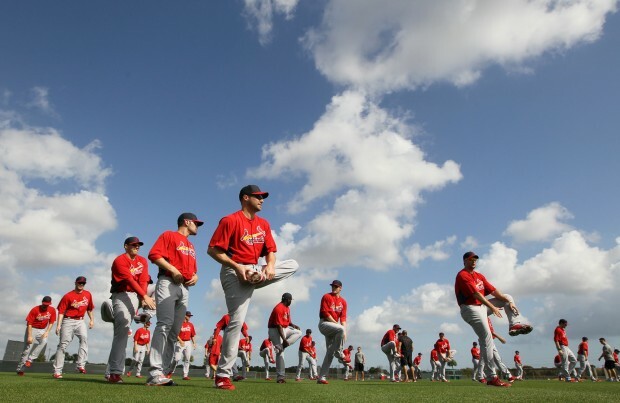 Spring training — the time for pictures of blue skies and goofy stretches. 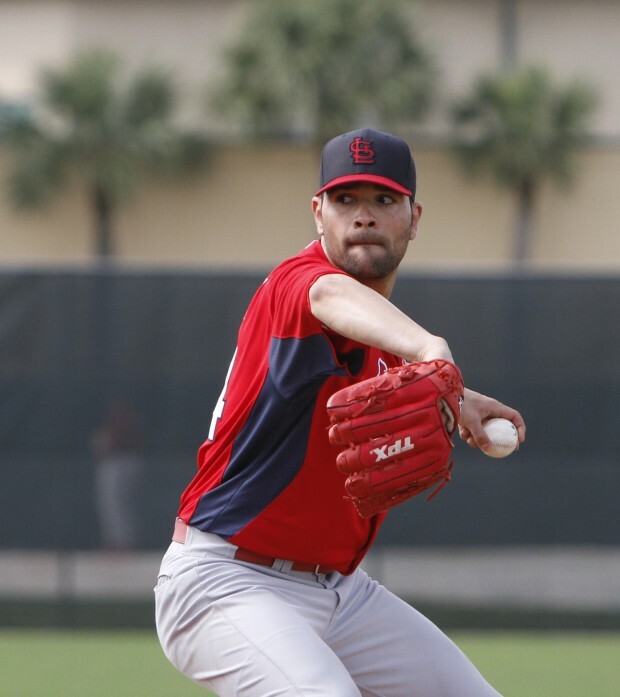 Here’s something we hopefully will see in games this season: Jaime Garcia and his red glove facing hitters. 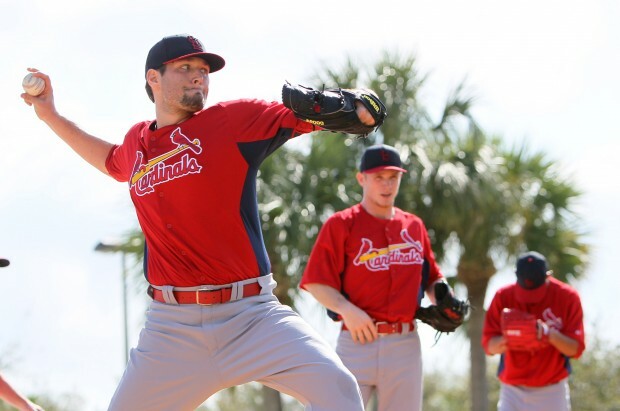 I knew from Miranda’s post last week our Wolf Pup Lance Lynn looks a little a lot smaller these days, but I honestly did not recognize him in most of the Post-Dispatch pictures — like this one. 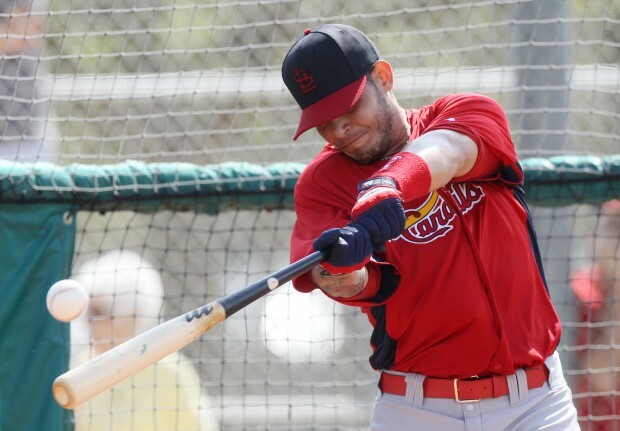 Yadi’s looking a little slimmer too. 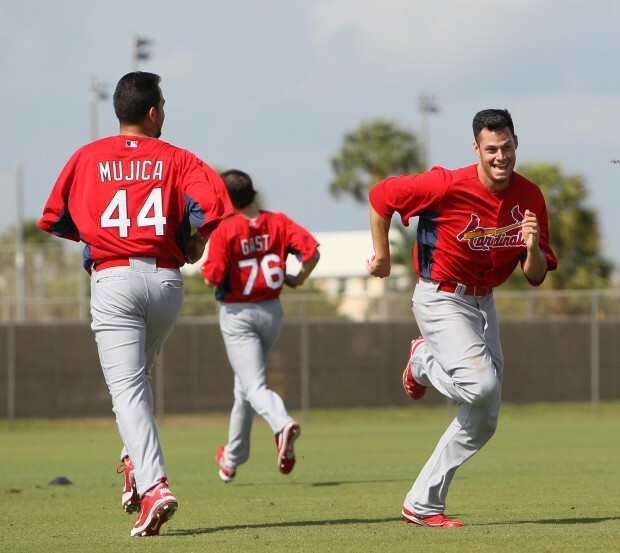 And now we have Molinas — plural! 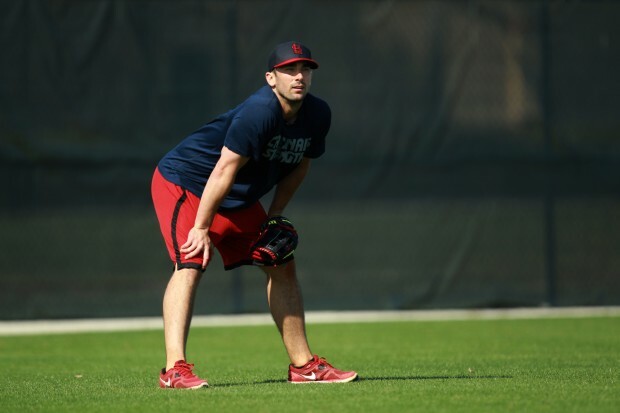 Welcome, Bengie! 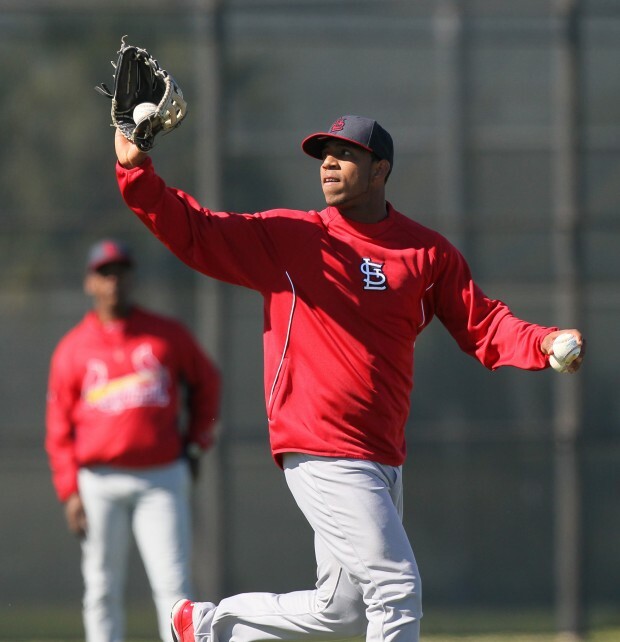 Here’s the guy getting so much attention this spring (and rightfully so): Oscar Taveras. 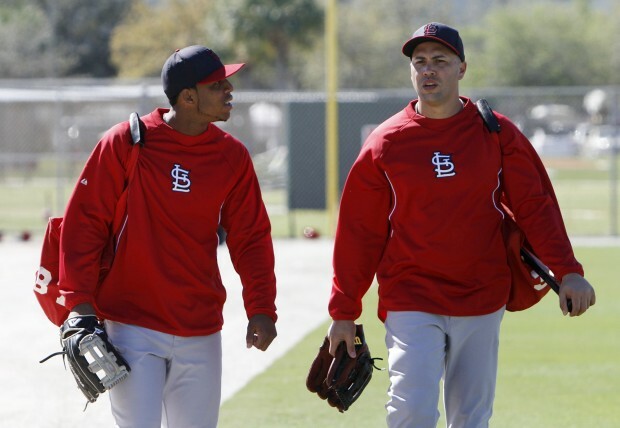 It’s good to see Oscar paired up with Carlos Beltran too — obviously Carlos has much wisdom to share. 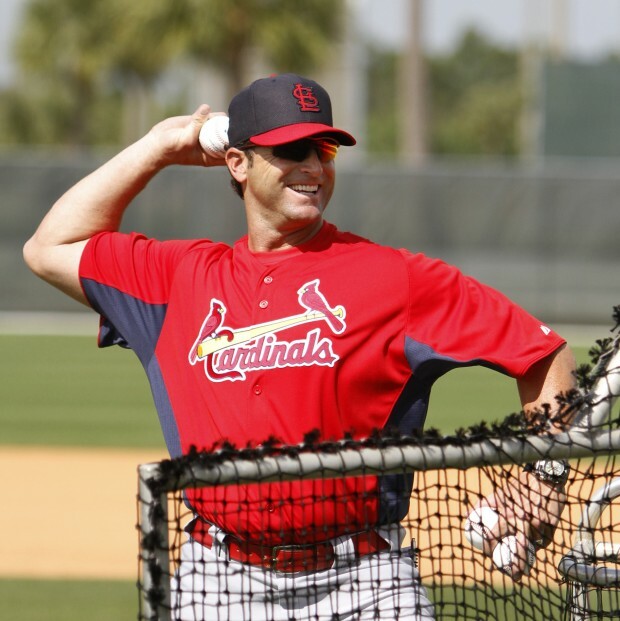 No reason is ever needed for one more Mike Matheny picture … although I’d personally like to request more Matheny-wearing-shorts pictures from the Post-Dispatch. I absolutely love these pics! 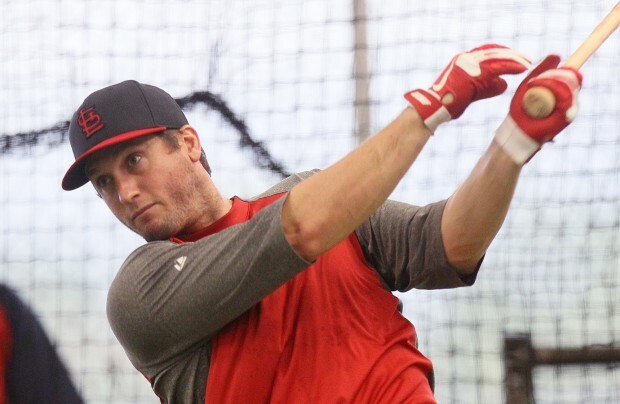 Not only are they of some pretty amazing men but it’s a HUGE reminder that baseball is almost here!!! 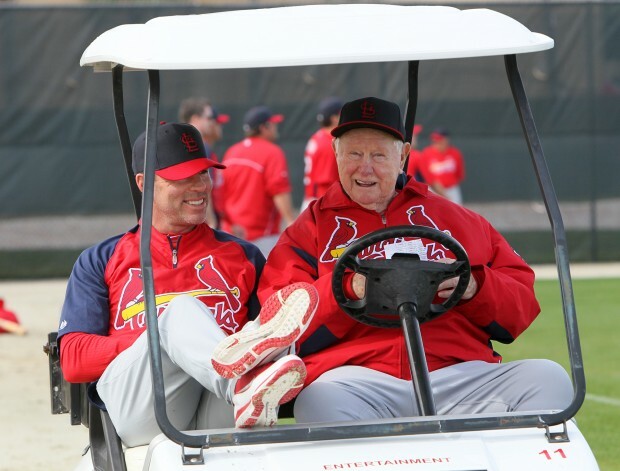 Also can’t tell you how much I love the pic of Jimmy and Red. I love both of those men and seeing them together again warms my heart. Almost makes having to work today bearable. Almost. Thanks Chris! Siiiigh! Aren’t they the cutest things?